This critter is pretty good paired up with Kovok and healing pet combo. A very underrated pet. I agree with Gruhm and Yek - H/H is the way to go! I'm with Gruhm here. H/H is the way to go, with Poison Fang/Huge Fang/Slither. 305 speed is not that great for a Beast family pet anymore, you got lots of speedier mechanicals and 341 speed death adders out there. The extra health is important, you will keep beast racial up much longer. Huge Fang ramps up quick and with beast racial it hits very hard. Only annoying part is 85% hit of Slither. Poison Fang is great against any mechanical you face, like Mechanical Pandaren Dragonlings. Solid pet! Got a rare H/S breed after about an hour of battling. Liking it so far, might be a decent pet for PvP with Poison Fang, Sting and Slither. Also, this pet has two different color patterns, black/gray one and green/light green one. I was really suprised by how good this pet is. I'm using an H/H version as part of one of my PvP teams and he's very solid. 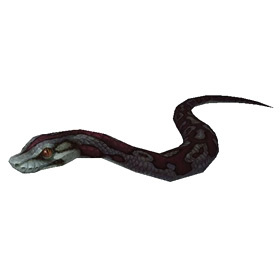 I use Poison Fang, Huge Fang, and Slither and he stands up great to just about anything and is able to dish out really decent damage even without being a 'P'ower breed. No finesse here just real strong contender when the bout turns into a slugfest. 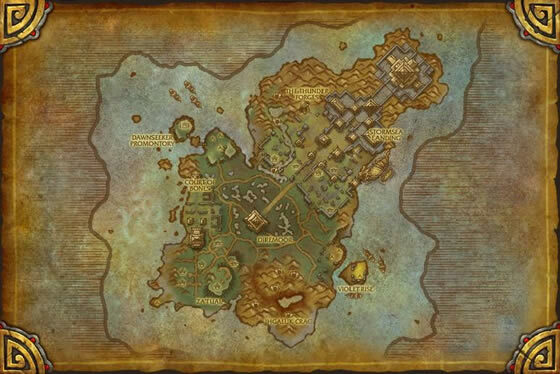 I didn't make note of exactly where I got my Rare (likely around Diremoor somewhere), but it was a secondary on a fight I'd engaged simply to see if I could get a battlestone to drop. It's the green-dark indigo skinned python which I promptly named a translation of 'Jade Shadow' and levelled to 25. Got my rare by Court of Bones, after battling about 3 of them. Had an uncommon b4 the rare. Very nice looking snake! Best one imo, other than the albino or temple. Just got one of these beuties today. First one I engaged was rare too, so no rare hunting on these guys for me. Makes an excellent addition to my team. edit: Gave him a test battle and I found him to be much stronger than I expected a snake to be. Should be a good beast choice for going after those pandarian spirit pets. I've been waiting for this one! As someone who keeps snakes irl I ADORE this model. SO detailed and gorgeous, I just love them to bits! I haven't gotten my rare yet, but I got a green uncommon and a black uncommon. I think there's supposed to be a brown one too but I haven't seen one yet. But pretty sure there's 3 color morphs of this beauty. Night before Patch day... and I came in to double-check what I needed to do first once the patch had finished downloading. Saw this pet and immediately went "That, that right there". IRL or in WoW I would totally want this pet all the time. Need it, want it, will put it in a team just to get it to level 25... Gorgeous! Massive props to Blizz for this lovely model! 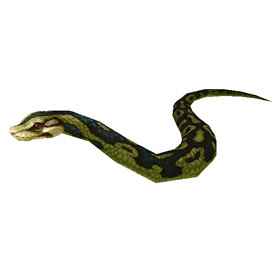 These snakes have been known to swallow gnomes in one gulp.